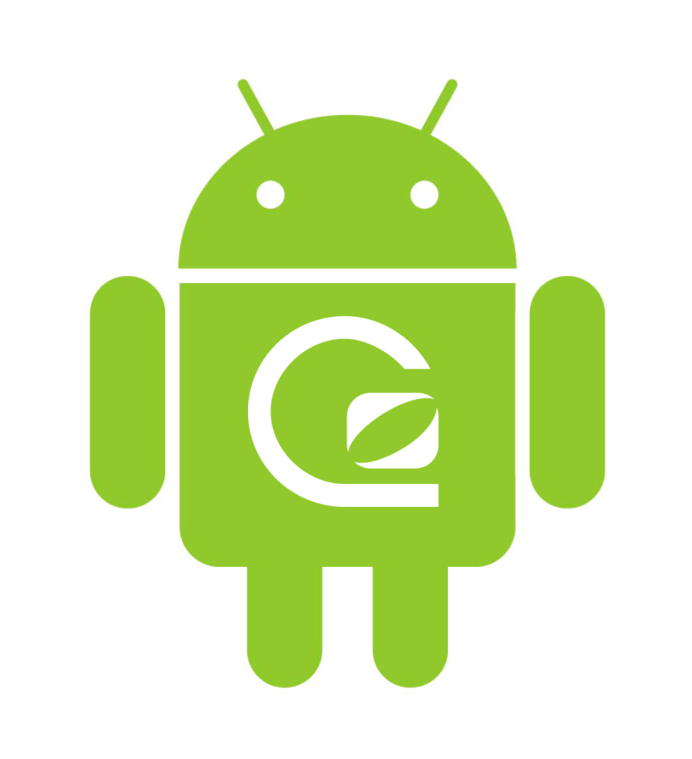 Exciting new features for People, a new marketing site, image optimisation, and a little Android dev. Oh my! Another month, another hack day at GoSquared. Ever since our October hack day the team were itching to get their hacking hats back on for November. Here’s what we got up to. Enjoy! Whilst doing this and getting a little bit of help from Ed to show the Notes nicely in the People profile UI they had the idea to generate contextual notes for users that made easy for them to understand their users. This is particularly useful for metrics such a Klout Score and Active Engaged Time where knowing what is a good or bad metric takes a long time to learn. For Ben’s hack he decided to take look at how we could make performing actions on the information in People Analytics, simple but powerful. We already have a range of third party integrations so the idea was to see how quickly we could get from a Smart Group to another service. One example that came to mind was pushing a list of people to a mailing list. 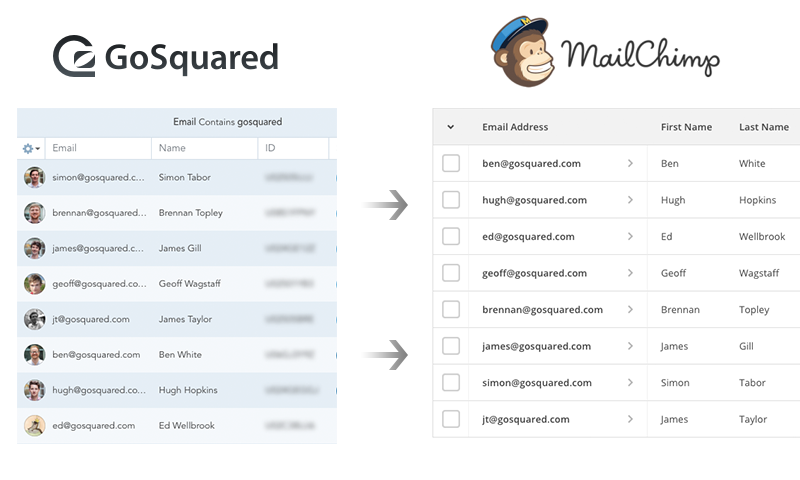 That way you could fine tune a one off group in People Analytics to target them with a MailChimp campaign. This is something we’re very excited about and we are going to be building on this to enable our users to perform powerful actions using the simplicity of People Analytics. Historically the GoSquared team has been very iOS-centric. Brennan, being the one and only Android fan on the team, thought he’d take a look at how GoSquared and Android might get along. Mobile tracking comes with a whole bunch of difficulties that don’t really exist with the traditional desktop browser. How do you manage un-reliable connections? How do pageviews relate to Android Activities and fragments? 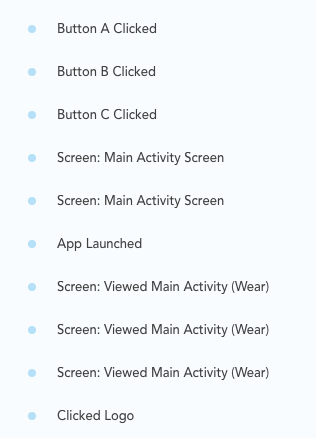 What happens when the screen rotates and the Activity is re-rendered, can you track notifications, background activities or even smart watch activities? It turns out there’s quite a lot to think about. Brennan thought he’d take some inspiration from the open source Segment tracking library. He got it running locally on a test application and after turning on the GoSquared integration in the Segment dashboard, data started flowing in. It turns out Segment avoid a lot of complexity by simply not tracking pageviews in the traditional sense. They track ‘Screen Viewed’ events which are triggered when a new activity loads. Events are grouped in 450KB payloads and are periodically uploaded when there is a stable mobile connection. This is a nifty solution but makes measuring the total number of concurrents in realtime somewhat tricky to approximate. The good news is that all of the events were tracked in GoSquared People properly however it will take a bit more work to get the Now and Trends dashboards working as you’d expect. Mobile tracking is something that we’re starting to take a lot more seriously at GoSquared. Keep an eye out for our iOS tracking beta coming very soon… but you might have to wait a little longer before we have Android all figured out. JT set out to improve our workflow for creating and delivering images on the GoSquared site. All the images you see on the GoSquared site, as well as here on the blog, and inside the GoSquared apps, are hosted on Amazon S3 and delivered via CloudFront. In order to give our visitors the best possible experience, those images need to load fast, which means they need to be as small in size as possible (it also helps us keep our bandwidth costs down). Tools like ImageOptim have been around for a long while, but the process of having to optimize all our images before uploading them to S3 can take a long while, especially when there are a lot of them. JT’s hack makes use of AWS Lambda to automatically optimize all images as soon as they’re uploaded to S3, which means less time for our designers spent waiting for images to optimize. Thanks to the multi-parallelism of AWS Lambda, it’s also a lot faster too. We’ve open-sourced Optim, the result of JT’s work, and will hopefully continue to improve on it in the future. For November, James put his design hat on again for hack day, and turned his attention to the marketing site. 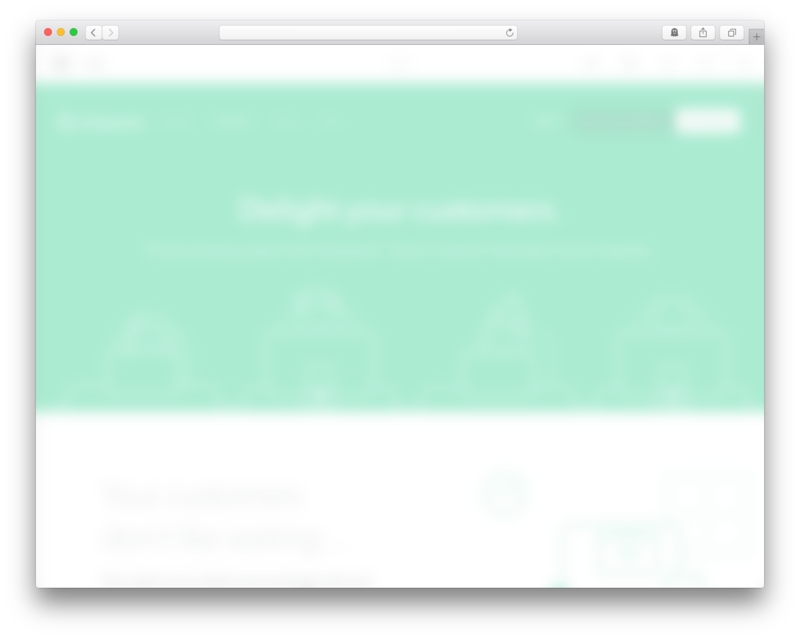 James’s work is still under wraps, but he wanted to show his progress with a blurry image that gives absolutely nothing away but proves he can use Sketch’s “gaussian blur” filter. 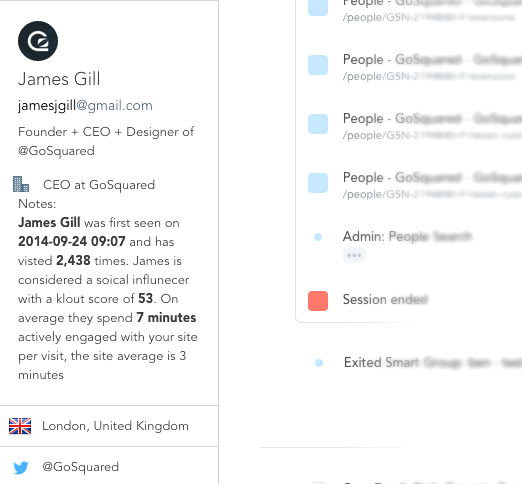 In all seriousness, James has been busy on some exciting new pages of the marketing site that will help show users – both new and old – how to get the most of GoSquared’s ever growing powerful feature set. Interested in other things we’ve hacked on at GoSquared?